I would say that the Magnetizer is the best solution for hard water problems. Even if you have to get two sets of magnets (depending on the size of your home) it would cost you less than having to replace filters or maintain a water softener. Hard water is a real problem for many of our customers and they are looking for something that works. We are in the business of providing hard water solutions, but we have never offered a solution that harms the environment such as sodium water softeners. Some of our customers express concern as to whether solutions such as the premium quality Magnetizers and want to know how effective they are. Magnetizer is a non-chemical way to treat the water in your home and get all the benefits and characteristics of soft water. Until now, if you had hard water problems, you had to buy or rent a costly salt ion-exchange softener or replace your plumbing and water heater periodically. Now there is the Magnetizer Whole House Hard Water Conditioner. In many ways the Magnetizer is better than a water softener. The Magnetizer Residential Hard Water Conditioner has been proven to produce chemical free, salt free, and healthy answer to your hard water problems. The Magnetizer accomplishes this by magnetically dissolving the existing scale in your water heater and plumbing system is magnetically dissolved in the water. The result: an appreciable saving in energy and money. The United States Government reports that consumers save a minimum of 48% of their energy dollars with the elimination of 3/8 of an inch or more of mineral scale build-up. A family of four can save up to $750.00 per year with the removal of this costly, pipe-clogging mineral scale. The Magnetizer also creates de-gasification which decreases the taste and smell of chlorine. 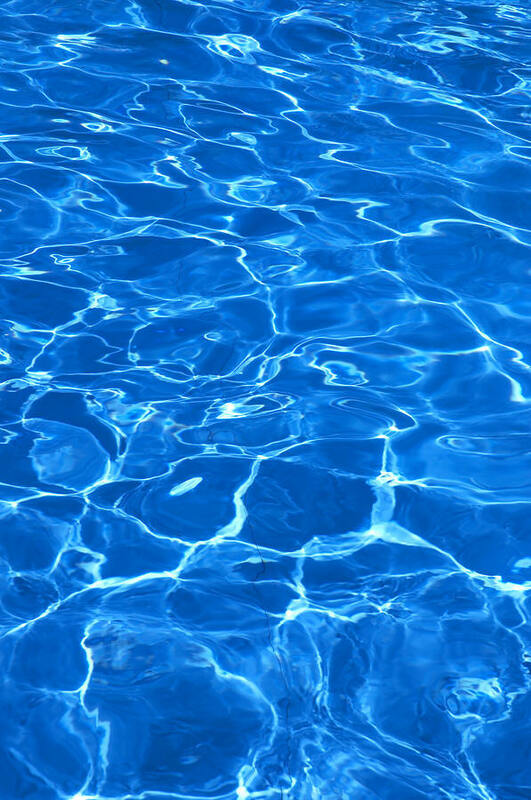 The hardness of the water is not reduced it is controlled and gives the effect of softer water. Soap lathers effortlessly, clothes wash cleaner. Bathing feels fresher and hair is softer and silkier. This is the best solution for humans and the environment. Just think of the effect of dumping all that salt into ground. The Magnetizer is easy to install - it simply straps on. There are no moving parts which could wear out plus it requires no external power. Magnetizer is the global leader of the natural water conditioning industry. Magnetizer is currently improving the quality of water in 100 countries. As water molecules pass by the powerful, highly focused magnetic field, two things happen: molecules are polarized (organized) and the water takes on a net positive (+) charge. This physically changes the water's molecular structure. The result is soft water characteristics with dissolved minerals. Your plumbing and water appliances remain in pristine condition. While your water will still be technically hard, it will have the effect of being soft. Many people comment that not only does their hair feel silkier, but it has become more manageable. Skin becomes hydrated and feels softer and less dry. Magnetized water requires less detergent and softeners. Your laundry will be brighter, cleaner, softer and without a soap residue. Users indicate that Magnetizer water tastes and smells better. Unpleasant chlorine or sulphur (hydrogen sulphide) odors are dramatically reduced. Hard water scale and acid stains cause dishes, fixtures, sinks, tubs and toilets to look unsightly. The Magnetizer will dissolve and eliminate the scale and reduce acid stains. Your kitchen and bathroom will look brand new. Tests show that the Magnetizer system maximizes filter efficiency dramatically. 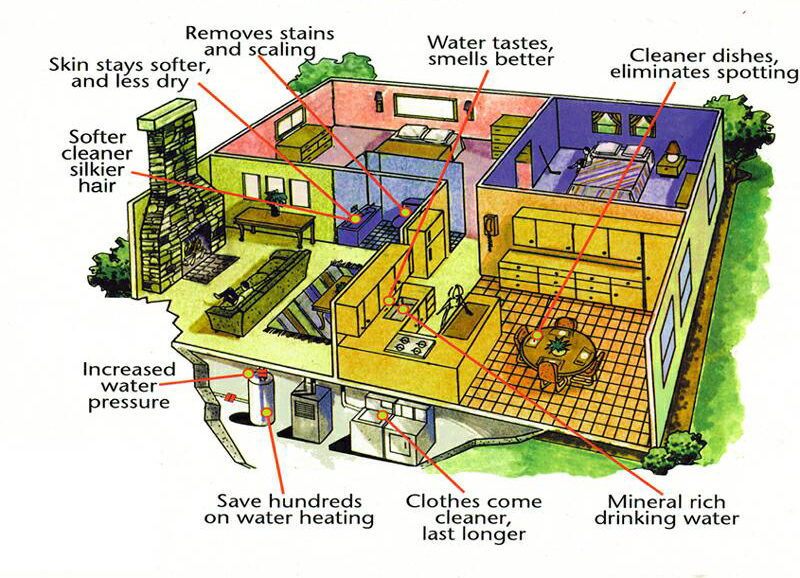 Filters will remove greater amounts of toxins. They will also last longer as carbonate clogging will not occur. Q. How do I know the Magnetizer is working? A. The scale deposits on your plumbing fixtures soften and begin to dissolve. Laundry and dishes are cleaner and your water tastes better. Q. Is the Magnetizer difficult to install? A. No. Its as easy as tying your shoe. No tools are needed and you can take the Magnetizer with you if you move. Q. Does the Magnetizer require maintenance? A. No. Not after the initial set-up. Some plumbing installations have high iron levels. High iron levels in water can be toxic and can also hinder the performance of the Hard water Magnetizer. If after 30 days of use, the Magnetizer system appears to not be working it is the result of excessive iron content. In such a case it is strongly recommended that an iron filter be installed. We carry a wide range of pre-filters including an iron pre-filter. The Magnetizer unit should then be re-installed on the water line directly after the filter. Extremely hard water conditions may require an additional boost. We suggest installing an additional Magnetizer in tandem with the original cold unit, 1/4” apart on the cold water line. As a plumbing contractor, a member of PAPHCC, and a member of the Master Plumber’s Guild of Buck’s County, Pennsylvania, I would like to take time out to let you know that your Hardwater Problem Saving Device; The Magnetizer Hard and acid Water Conditioner has, in every case, in our hardwater area of Eastern Pennsylvania, stopped and solved all the problems of hardwater. My customers report that the calcium disappeared, their hot water energy bills have gone down, wash is cleaner, everything your literature explains. Also, I installed the water Magnetizer on my feed and return lines to my Whirlpool Bath and pH mineral build-up on water jets has dissolved. I would like you to know it feels good to be able to offer such a simple, inexpensive, and beneficial product to my customers to solve their hard water problems. I have no problem selling these units, at all. We are a local plumbing contractor and have installed several of the water and fuel Magnetizers. I personally have a Magnetizer installed on my water system at home. I have hard water with sulphur. My main objective for installing the Magnetizer in my home was due to the fact I had to continually clean the scale build up in my solar panel. Since the installation of the Magnetizer, the sulphur smell has dissipated and I have noticed a big improvement in the build up on the solar panels. My personal and professional opinion is that the Magnetizer is a good investment and I would recommend its use. I also have the Fuel Magnetizer installed on my truck, which has allowed me to use regular unleaded gasoline. Before the installation of this Magnetizer, I had to use high test gasoline due to a pinging in the engine. With the Magnetizer, the pinging in the engine has stopped and I have saved money on gasoline. I wanted to take the time to thank you for the Magnetizer Systems for both our propane fuel lines and for water treatment in our commercial and self service launderette. Just after the installation, we quickly saw a savings of 16% on our fuel consumption cost. This equalled a savings of just over $200.00 per month. After the installation on the water system, we saw an immediate change to the cleanliness of the clothing as well as the 1/3 decrease in chemicals needed to clean the clothes. The whites are considerably whiter and the colors come out brighter. The difference was immediately recognized by our customers. We were so pleased with the results, we decided to put the Magnetizer on our home. Not only do we see a difference in the taste of the water, but the most enjoyable thing is to take a shower with the silky like water that is a result from the system. I would not hesitate to recommend the Magnetizer to any one that is concerned about utility costs and upkeep of their plumbing. The difference will be seen almost immediately. It is a pleasure for me to recommend the Magnetizers which we use at both our home and office. These magnets are so efficient that they have eliminated practically all the scale and lime build-up that we experienced before the magnets were installed. The Magnetizer is truly a miracle invention. It conditions the water like nothing we have ever seen. It is far superior to the soft water which we had in our home for a number of years. Anyone who purchases a Magnetizer for a home or business will be making a wise investment. It’s full of amazing benefits. 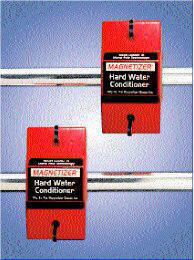 Magnetizer Hard Water Conditioner (7,200 Gauss) This includes two pairs of magnets which is a total of four magnets.